Grices Hydraulic Cylinders S.r.l. designs, produces and sells hydraulic cylinders and components. Thanks to its experienced and highly qualified team, the company is able to satisfy every client’s request, developing custom made products. The produced cylinders follow the international hydraulic cylinder standards (ISO 6020/2 e DIN 24554, ISO 6020/1, ISO 6022). 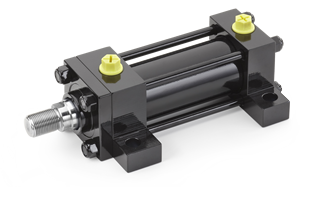 Design and production of highly sophisticated hydraulic cylinders, from standard series to customized ones. The production line we have developed and expanded in our 35 years of experience satisfies the most demanding applications in the industrial sector, following the executive standard ISO 6020/2 e DIN 24554, ISO 6020/1, ISO 6020/3, ISO 6022.
naval, aerospace, steel industry, cutting lines, metal and plastic sheet machinery, renewable energies, engineering, machine tools, press, materials packagin. Grices Hydraulic cylinders S.r.l. designs and produces specialized hydraulic cylinders. Every cylinder is developed for the client’s specific needs, both from our technical department and from the client’s design. rod clevis, rod eye plain, rod eye spherical, pivot pin, clevis straight bracket, trunnion bracket, in accordance with ISO 6982, ISO 8133, ISO 8132, DIN 24556. Keep all the information at your fingertips with our new mobile website! In this section you'll be able to configure our cylinders and download the configured model as a CAD file. If you are not registered yet, you can register now.